Shopping for a new FIAT 500L? For a small car with a single powertrain, the 2018 Fiat 500L has lots of models and options, so study up before you shop. The 2018 Fiat 500L has received a handful of interior and infotainment upgrades, but it's subpar in several aspects and remains among our lowest-rated cars. The 2018 Fiat 500L is a five-door hatchback that isn't related to the small car that helped relaunch the brand in America seven years ago. The 500L is a tall wagon that offers lots of interior room and a decent level of standard and optional features. 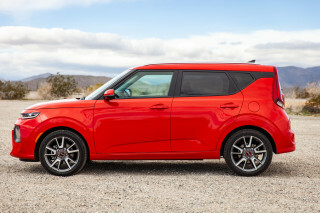 The trim levels are the base Pop, a mid-level Trekking version with outdoorsy features, and a high-end Lounge version with all the trimmings. Nonetheless, for 2018, the 500L has received numerous changes and updates. The front and rear have been redesigned, along with new wheels and daytime running lights. A rearview camera is finally standard, and numerous interior changes include a digital instrument cluster; a rearranged center console, gear shift, and parking brake; a new steering wheel; and LED ambient interior lighting. An updated Uconnect 4 infotainment system with a 7.0-inch touchscreen in the dash center is now standard, as are Android Auto and Apple CarPlay connectivity. Fiat has also added a handful of distinctive new paint colors for the 500L. The 2018 Fiat 500L’s shape doesn’t really come together, though a very mild restyling and interior upgrades this year bring it a bit more up to date. The 2018 Fiat 500L benefits from a mild front and rear restyling, but the basic shape of the tall, glassy wagon remains. So do its blunt nose and an irregular roofline that zigs and zags. A few will love it, a few will dislike it, but most people we’ve shown it to end up with a slightly puzzled look on their faces. The interior takes fewer risks than the exterior, granted. The big round knobs remain, and this year it has a larger 7.0-inch touchscreen to bring it up to date, along with a redesigned console that moves cupholders, shifter, and emergency brake for better access. A new steering wheel adds to the update as well. The 2018 Fiat 500L handles and holds the road nicely, but it’s slow. 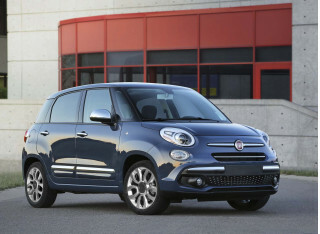 Even though the inline-4 benefits from turbocharging, giving it 184 pound-feet of torque, the 500L simply puts more demands on the engine. It’s heavier, taller, and blunter to the wind, and drivers will find they have to use every bit of the power in fast-moving traffic or accelerating to highway speeds on short on-ramps. Handling and roadholding is a bright spot, however, going some way to reinforce its Italian heritage. (It’s actually built in Serbia, however.) The twist-beam rear axle is a simple design, but Fiat has fitted the struts with Koni shock absorbers that damp harsher ride motions. 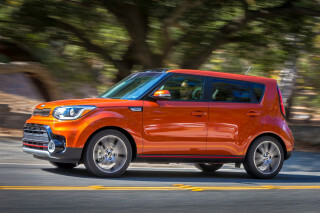 Even at highway speeds, it responds quickly and predictably to the steering, and we found it better in that respect than the Mini Cooper Countryman and almost as smooth-riding on broken city streets as the Kia Soul. The 2018 Fiat 500L will fit four adults, but its awkward driving position and lack of useful interior storage are drawbacks. The 2018 Fiat 500L comes with a redesigned steering wheel, but it still sits at a more horizontal angle than in most cars. That’s a defining feature of the Fiat 500, but the bus-driver arrangement can make it hard for drivers to find a comfortable position and still keep the instruments visible. That’s one of several quirks that led us to rate the 500L at 4 points out of 10 for interior comfort and quality. (Read more about how we rate cars.) We docked it a point for the awkward driving position. The front seats of the 500L aren’t all that comfortable, and the bottom cushions are rounded off at the corners and somewhat hard to boot. The second row sits higher than the front seats do, and leg room is adequate for taller riders, ample for those with shorter legs. The rear seat is also firm, but unusually, it reclines. On some trim levels, it will also slide back and forth, and tumble forward, giving the 500L some of the flexibility of the Honda Fit’s legendary “Magic Seat” setup. The high roofline provides plenty of head and shoulder room for four passengers, but five will be somewhere between uncomfortable and impossible. It’s probably a matter of comparison: the regular Fiat 500 won’t fit four standard-sized adults without severe contortions, and compared to that minicar, the 500L has 42 percent more interior volume. Two large rolling suitcases can fit into the cargo area, which offers two levels of storage via a floor panel that can slide into a higher set of side rails to provide a hidden compartment underneath. But storage space in the rest of the cabin is limited; a shallow tray splits two small glove boxes, and door pockets provide the rest of the space for passengers’ impedimenta. Only partial safety scores are available for the 2018 Fiat 500L, but aside from a rearview camera, it offers no advanced electronic safety systems. The NHTSA hasn’t crash-tested the Fiat 500L at any point during its lifetime. While it originally received the top rating of “Good” from the IIHS, along with the Top Safety Pick designation, it lost that honor when it received the lowest rating of “Poor” on the tough new small-overlap frontal crash test. A rearview camera is standard, and rear parking sensors are optional. 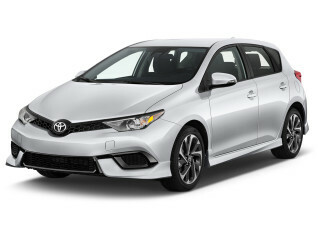 But none of the advanced active-safety systems now offered on an increasing number of small cars is available, including automatic emergency braking, blind-spot monitors, lane-departure warning, or adaptive cruise control. 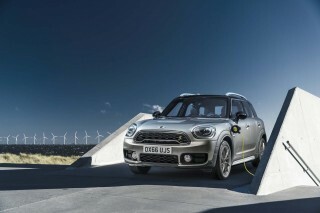 The 500L does have one laudable safety feature: superb outward visibility through its three large side windows. Adding the optional dual-pane sunroof floods the cabin with light and makes it one of the brightest and airiest cars we know of. The 2018 Fiat 500L has carefully chosen trim levels and option packages that should satisfy a wide range of buyers. For the 2018 model year, the 500L has received a number of feature upgrades and changes. 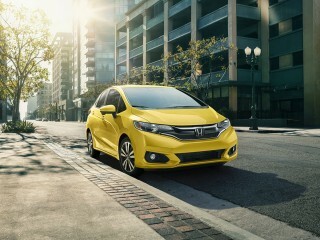 It still comes in three trim levels: the base Pop, the outdoorsy Trekking, and the high-end Lounge models. This year, 500L versions include steering-wheel controls, cruise control, air conditioning, and a tilting and telescoping steering column. 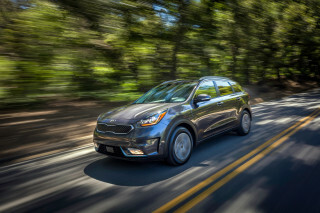 New this year is a standard 7.0-inch touchscreen with the latest Uconnect 4 infotainment software, which provides voice commands for the radio, Bluetooth audio streaming, hands-free calling, and USB and audio ports, as well as a six-speaker audio system. Android Auto and Apple CarPlay compatibility are also included for the first time. 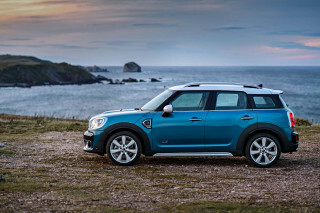 The mid-level Trekking version adds various appearance extras to make this a more “rugged” looking 500L. Larger 17-inch wheels outlined by fender moldings, different front and rear fascias, and a two-tone brown and black interior treatment with low-back bucket seats definitely give it a difference look. Finally, the 500L Lounge adds dual-zone automatic climate control; a rear seat that reclines, tumbles, and folds, with split-folding rear seat backs; heated front seats trimmed in leather, lumbar adjustment for the driver; and fog lights. Buyers can further customize their 500Ls with a host of options, the most distinctive of which is probably the roof painted in a contrasting color (just like a Mini). 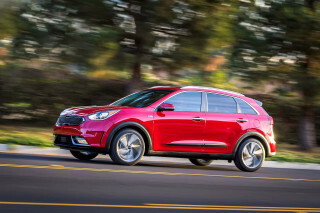 Each of the three trim levels has “collections” that bundle commonly ordered options at a slight discount, including parking sensors, a built-in navigation system, and satellite radio. A Beats audio system is also available. The 2018 Fiat 500L has fuel economy that’s only average, or lower. The 2018 Fiat 500L’s EPA fuel-economy rating is average: it’s rated at 22 mpg city, 30 highway, 25 combined.